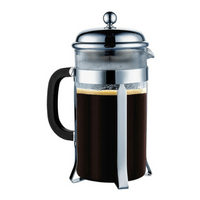 What's The Best French Press Coffee Maker? The French Press is a coffee making machine which forces ground coffee through hot water. It then sends the spent grounds towards the bottom of the pot, leaving full-bodied coffee brew on top. The coffee produced by a French press is different from drip coffee because it is generally thick and oily. This coffee machine captures more of the flavor of the coffee beans, as well as other essential oils, thus producing a bolder or fuller flavor, which is otherwise gone when using paper filtered coffee makers. At the same time, French presses are generally inexpensive, with coffee that tastes really good. If you decide to use a French press, it is very important to note that the coffee needs to be coarser as compared to drip brew coffee filters. This is to make sure that the grounds do not seep into the press filter, going into your coffee. As there are already a lot of available brand options in the market these days, it is also important to take note of each and every one of them in order to come up with the best possible option. The Kona French Press comes with a modern and fun design which will certainly add an interesting feature to your kitchen counter. It is also equipped with a high quality carafe made of extra thick borosilicate glass which is wrapped using a modern protective shield which can prevent cracks and breakage. At the same time, the internal components of this model are of stainless steel. Detachable 3-piece stainless filter system. Can only keep coffee warm for 20-30 minutes. 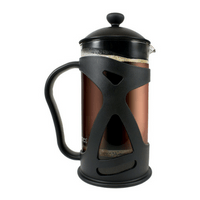 The Kona French press is a great option due to its style. 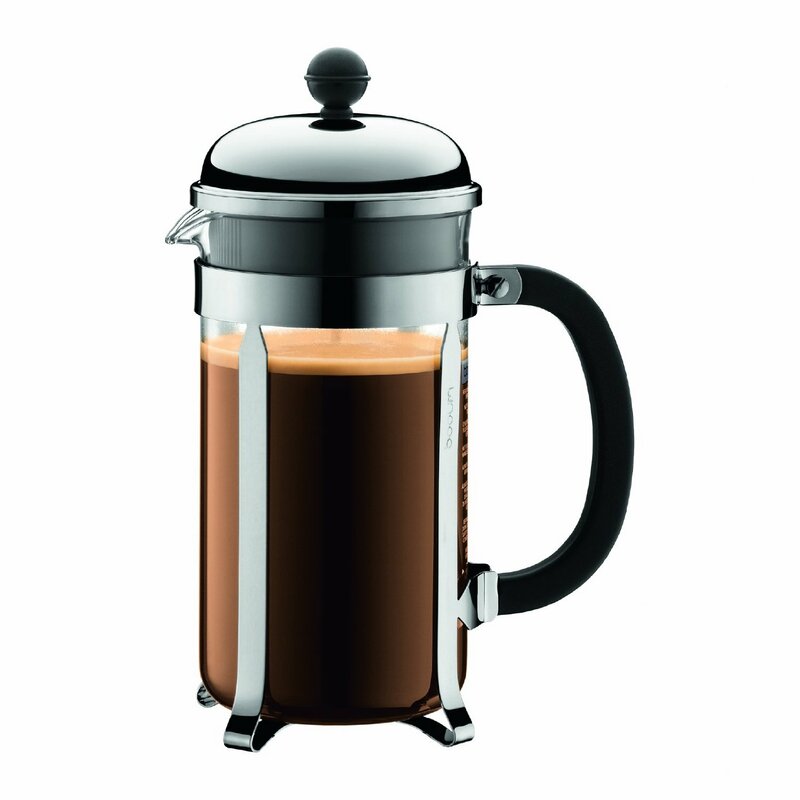 For this reason, this model easily makes it among the best sellers in French presses. The fact that it does not leave any coffee grounds in your cup is an assurance that you will certainly enjoy your coffee. The price of around $25.00 is also in range along with other competing products. Overall, this is a great product for your investment. This French Press is also one of the top contenders and had the opportunity to grab the top spot of the best-selling French Presses in Amazon. The SterlingPro was the very first model to use the double screen system which can also ensure that you will not have to see grounds in your coffee. It also has a crystal like housing, stylish design, making it as a very attractive gift to your coffee loving friends and family. Glass carafe is dishwasher safe. Carafe may be detached easily from metal frame . Comes with 2 extra replacement filter screens. It is definitely worth investing in a high quality French press such as the Sterling Pro Coffee & Espresso Maker. The glass in this model is reliably thicker, and can provide the assurance that it will not crack easily as compared to lower end of coffee presses. Its double filter system is also advantageous because several reviews claim that it actually works. The consumers are also impressed with the ease of use and taste of coffee, achieving a smoother flavor of coffee. Cleaning is also very easy on this model. This model comes at a reasonable price. Bodum is another popular player in the coffee making industry. This model allows you to brew up to 34 oz. or 8 coffee cups, producing restaurant quality cups of coffee. The Bodum Chambord is also a recipient of an award coming from the American Culinary Institute, being the best in the industry in 2004. Heat resistant carafe made of durable borosilicate glass. Needs more clean up compared to drip coffee makers. Requires transferring coffee to an insulated mug or thermos to keep coffee warm or longer. The Bodum Chambord 8 cup French Press Coffee Maker has constantly been receiving high ratings from consumers simply because this exactly does what is expected of it. It can produce the best tasting cups of coffee. The entire unit is sturdy, looks great and well-made. What this model is really proud of is its quality to take the time and indulging in making the best tasting coffee you can ever have. This model is worth the price. The three mentioned Best French press coffee makers above are already ranked according to order. This simply means that the best one in the list is obviously the KONA French Press – Coffee, Tea & Espresso Maker, followed by the SterlingPro Coffee & Espresso Maker, and then racing up is the Bodum Chambord 8 cup French Press Coffee Maker. Take note, however, that these three brands are the top competitors in this market, and they even take turns in getting the top spot. However, each and every one of them has their own set of pros and cons. The decision as to which model you will choose depends on you, your taste, and preferences. Even the outward appearance is different. Therefore, it is highly advisable to sit down and consider what you really want, the features that you would like to have, and decide from there. 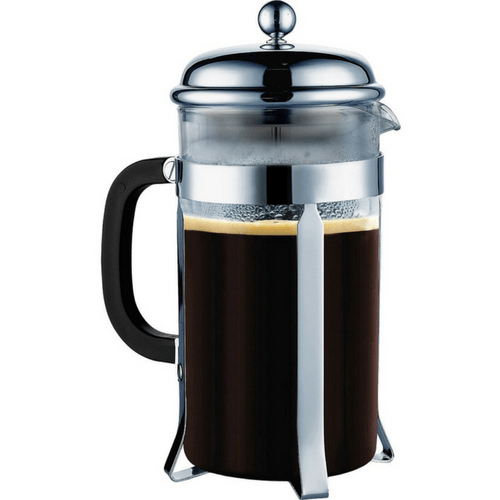 We want to hear from you, did you enjoy reading the Best of French Press Coffee Maker Reviews? Let us know your favorite in the comments below!